Residents are up in arms over Hackney Council’s consultation proposing to rebuild Stormont House School on top of the bowling green and old tennis court on Hackney Downs. The Council and Learning Trust want to rebuild the school as part of the national Building Schools for the Future programme. They claim that the consultation was “deeply flawed” in that those living in Queensdown Road – who are park users and who would have daily views of the proposed construction programme and the finished school buildings – have not been adequately consulted. Residents say that there were insufficient leaflet drops giving details about the plans to properties that will be affected, and that some of them only heard of the plan by chance and then very late on. Included in the plans is the proposal toÂ grass over the land that the school is currently situated on so that it can become common land – effectively a common land ‘swap’. However, locals are concerned that, regardless of what the building looks like, it will still be a building on what is common land. Local resident Alan Maddox said: “I only got to know about the plans to plonk a school in the middle of the public park through community gossip about three weeks ago. Then about two weeks ago I got an official leaflet through my door. I live in Queensdown Road and we got some notification from the council. But these are old Victorian houses and most are divided into two – some into four – dwellings. One official leaflet per house means some residents may get to know about the plans, whilst others may not. “There were two consultation meetings at the end of last month – which were not mentioned on the leaflet, which was delivered at the time of the meeting, possibly afterwards. Local gallery owner and artist Chiara Williams said: “The thing that annoyed me was that in the consultation leaflet it says: ‘The bowling green has been disused for 9 years and it is not anticipated that demand for its reinstatement will exceed the public preference for usable open land in the park’ which is a ridiculous justification to build over it. “People have been asking for something to be done with this land for ages and it is not the residents’ fault that the space is underused. From reinstating the bowling green, to establishing a community garden, a cafe – even a swimming pool, residents are not short of ideas, but there has never been any consultation on this matter. “The idea of the common land ‘swap’ and that we would be better off with a strip of open land bordering Downs Park Road is also absurd – it would simply become a front garden for the school. In response to the Citizen’s questions about the how the consultation was conducted and the claim by some residents that it was “deeply flawed, a Hackney Council spokesperson said: “It’s important to stress that this was an informal consultation, aimed at gathering the views of local residents, schools and stakeholders before a planning application is submitted and formal consultation takes place. “Hackney Council received a total of 27 responses. Asked by the Citizen about how effective the distribution of the consultation leaflet and the council’s freesheet Hackney Today was, in terms of reaching every flat and house in the locality, the council spokesperson said, “We contacted the distribution company and they have confirmed the leaflets were distributed to all the roads in the target consultation area: Downs Road, Amhurst Road, Downs Park Road, Pembury Road, Queensdown Road, Bodney Road, Andre Street, Anton Street, Amhurst Terrace, Rectory Road. “Hackney Today averages 97.62% distribution per issue. The back checks are carried out by Distribution Verification Services (DVS) to the standards set out by the Audit Bureau of Circulation (ABC). The consultation featured in issues 247 (10 January 2011) and 249 (7 February 2011) of Hackney Today and on the Council’s Consultation Finder page at www.hackney.gov.uk/consultation. “There were two drop-in sessions held at the school on Tuesday, 18 and Thursday, 20 January (6:00-8:00 pm), which were open to residents and anyone with an interest in the project. Copies of the consultation brochure and questionnaire were available online and a number of these were distributed to parents and teachers of Stormont House School. 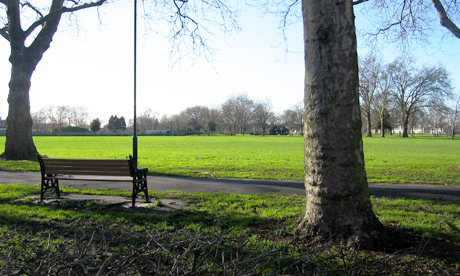 The council confirmed that it had contacted Hackney Downs User Group with information about the consultation, including the consultation summary and questionnaire. It said the user group was also invited to the two drop in sessionson Tuesday, 18 January and Thursday, 20 January, which were open to residents and anyone with an interest in the project. The local ward councillors were also kept informed.